Most pop-up restaurants—in which a chef typically takes over a professional kitchen for a night or two—serve as incubators or showcases. Traveling toques may want to drum up attention away from home, or cooks who dream of starting their own place might take over a friend’s stoves to grandstand their food. 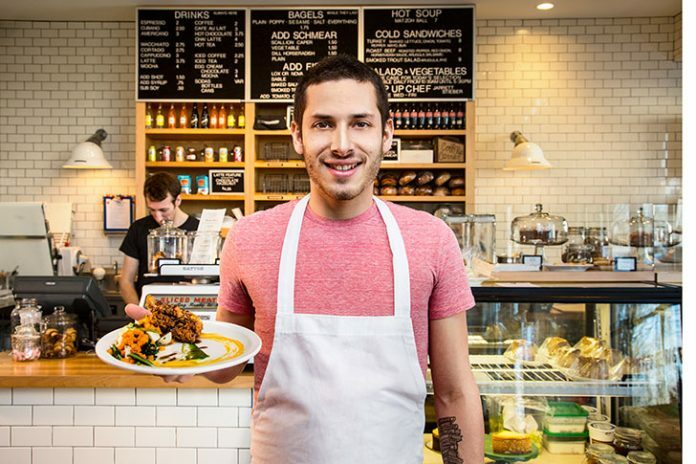 But Jarrett Stieber is the only chef in the city who makes running pop-ups his full-time living. 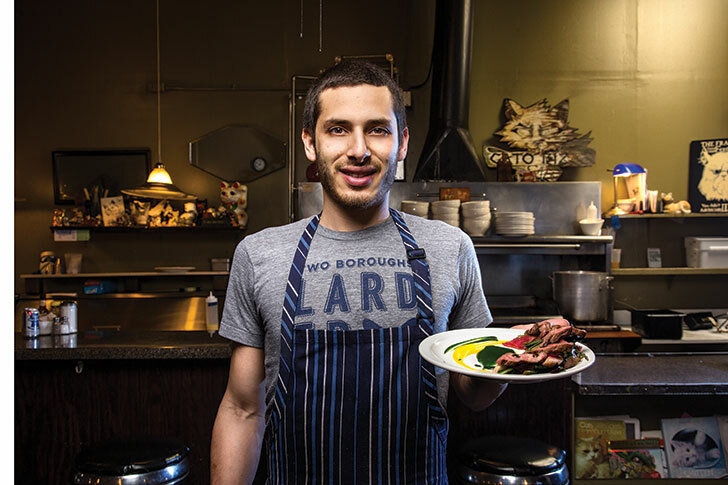 The twenty-four-year-old, who has lived in Atlanta since age three and graduated from Westminster and then Le Cordon Bleu College of Culinary Arts in Tucker, manned the counter at Alon’s during high school and has cooked at restaurants like Abattoir and Empire State South. Stieber yearned to be his own boss, though, so without the funds yet to launch a brick-and-mortar, he’s found restaurants willing to host him on a semipermanent basis. He first drew attention last year at Candler Park Market, churning out dishes like crisped tofu sprinkled with black sesame and paired with sunchokes, or buttermilk fried chicken with sweet potato and watermelon. This year Stieber landed two gigs: in the deli at the General Muir during lunch Wednesday through Friday, and at Gato in Candler Park on Sunday night. How long will these last? Who knows, though he’s certainly luring consistent crowds with his affordable, vegetable-driven cooking. Stieber calls his roving business “Eat Me Speak Me”; find menus and information on his next projects at eatmespeakme.com. Wake-up calls Coffee is key at both the General Muir, which takes its cues from a Jewish deli, and Gato, known as a breakfast joint. Stieber pays homage to his pop-up hosts with a coffee vinaigrette on catfish at the General Muir (pictured left) and on Georgia flank steak at Gato (right). Praise “I love the energy of Jarrett’s cooking. It’s fresh, colorful, playful, and the ingredients make sense together,” says General Muir chef Todd Ginsberg. Bam! Stieber’s inspiration to become a chef? Watching Emeril Lagasse on the Food Network as a teenager. Extracurriculars Stieber cooks solo four days a week and often sources local produce on days off, but in his free time he also plays hockey and fronts a band called Easy Meat.